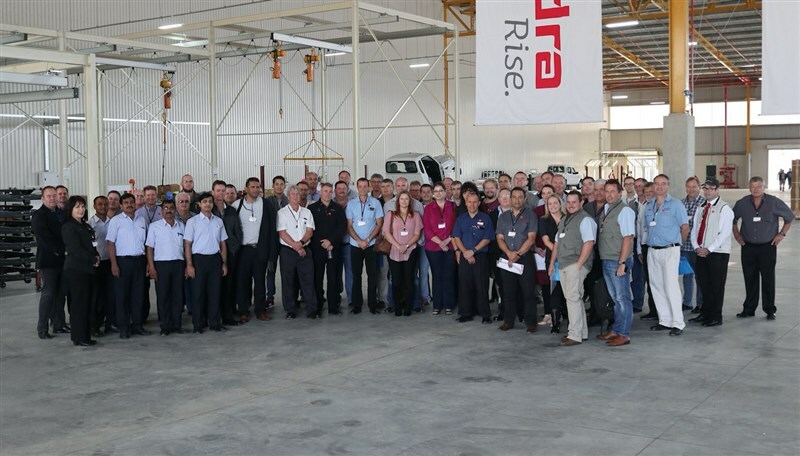 Mahindra South Africa has opened a state-of-the-art vehicle assembly facility in Durban, at the Dube TradePort Special Economic Zone (SEZ) next to the King Shaka Airport in KwaZulu-Natal. 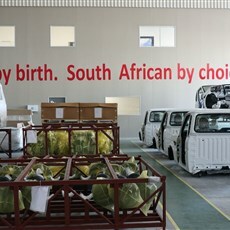 The company will use the new facility to assemble the complete range of Mahindra Pik Up single- and double cab pick-ups. 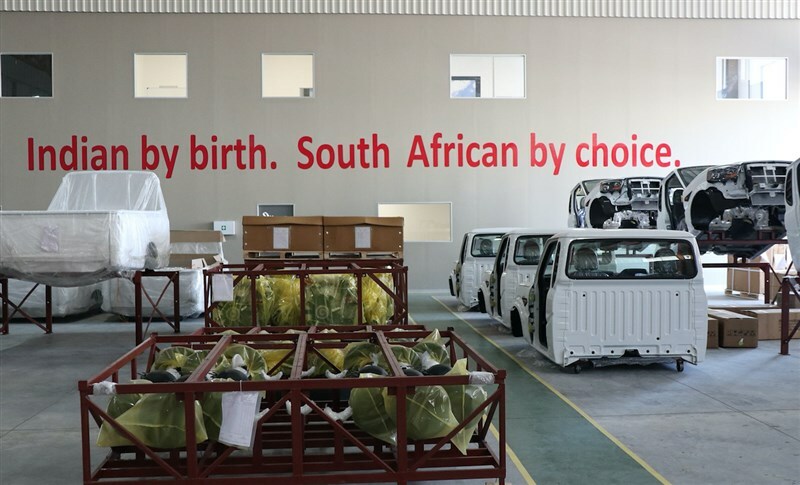 The assembly plant was constructed in partnership with AIH Logistics, a level 2-rated BBBEE company with proven credentials in the automotive sector and involves an initial investment of R10 million in facilities and equipment. "There is a special association between South Africa and India, which goes back over 150 years. Our two countries are bound by two peace icons, Mahatma Gandhi and Nelson Mandela, who shaped the world with their conviction in silent strength. Mahindra's decision to assemble in South Africa is a manifestation of the strength and vibrancy of this strategic partnership, as well as the company's desire to deepen and diversify the special bond with South Africa", says Ruchira Kamboj, High Commissioner for India to South Africa and Lesotho. CEO of Mahindra South Africa, Rajesh Gupta, says the decision to assemble vehicles in Durban follows Mahindra's exceptional growth since it first established an office here in 2004. "Mahindra has grown significantly since the launch of its first models in South Africa. In the last five years alone, it has grown its market share by a compound annual growth rate of over 4.6% a year, which puts us in a league of the five fastest growing companies in the same period. Much of this growth was achieved in a declining market, which indicates our increased acceptance and popularity in the South Africa market," says Mr Gupta. The new assembly facility will have an annual capacity of 2 500 Pik Up vehicles on a single-shift production. A modular design easily allows for an increase of production to 4 000 units per annum or the addition of any other Mahindra vehicle. The state-of-the-art of facility is equipped with very advanced quality testing equipment to ensure that this plant offers products that meet and exceed Mahindra's strict quality standards for all locally produced vehicles. The new Mahindra Pik Up range was introduced in South Africa in October 2017 and has since become the company's single best-selling commercial vehicle thanks to its "combination of rugged and durable construction, high level of specification and affordable price". "Our focus is on the bakkie segment, where Mahindra is now one of the six best-selling bakkie brands in South Africa. We will start with the assembly of the Mahindra Pik Up range, but this does not mean that we could not, in future, add another pick-up or commercial vehicle or even one of our tractor models or heavy-duty power generator systems to the assembly line," explains Avinash Bapat, CFO of Mahindra South Africa. The new assembly facility started trial production in May and will enter full production in July 2018. In this phase, it will employ 25 full-time staff working on one shift. The local assembly staff complement was trained in partnership between the global Mahindra & Mahindra Group and AIH Logistics. "This initiative represents a significant investment in skills and training in the automotive sector. With the support of all stakeholders in this venture, Mahindra and AIH logistics have great ambitions together for the future. "Mahindra, in partnership with AIHL, is committed to empower local businesses to grow together and to increase its footprint in Africa. This facility is a start to achieve this objective," says Dempsey Naidoo, chairman of AIH Logistics. Arvind Mathew, Chief of International Operations for Mahindra & Mahindra, explains the significance of this new facility: "Mahindra has always seen South Africa as a 'second home' and a base from which it could grow its market share on the continent. We believe that our investment in an ultra-modern assembly facility and our intention to localise part-sourcing over time reaffirm this view." Mahindra South Africa already supports other African countries in the Southern African Customs Union and it aims to grow its reach throughout sub-Saharan Africa, using this facility and South Africa as base. The assembly facility for Mahindra vehicles was constructed in partnership with the Dube TradePort, a special economic zone (SEZ) under the control of the Department of Trade and Industry. Dube TradePort is located next to the King Shaka Airport in KwaZulu-Natal and is linked to the Durban harbour by road and rail. It is the first assembly facility of its kind to have made use of the benefits of the SEZ sectoral development programme set up by the DTI. 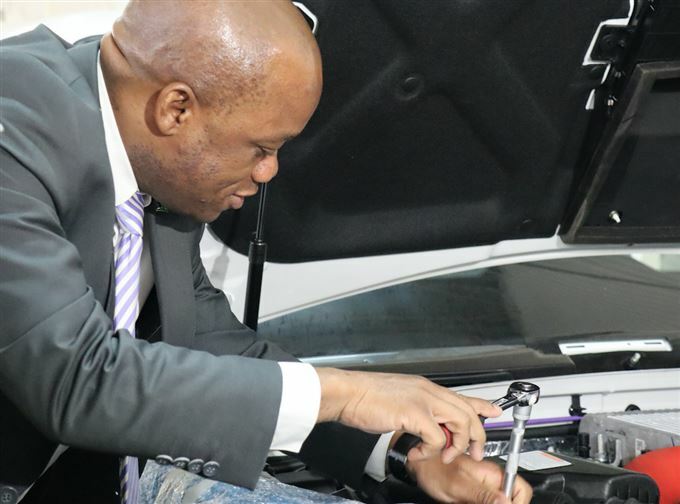 KwaZulu-Natal, MEC for Economic Development, Tourism, and Environmental Affairs, Sihle Zikalala, welcomed the investment by Mahindra and stated that , "As the provincial government, we are committed to support the expansion of the vehicle manufacturing sector in South Africa. 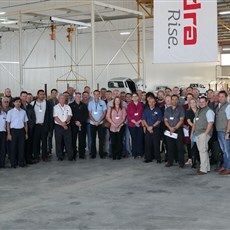 We welcome Mahindra's decision to establish its world-class assembly facility within Dube TradePort Special Economic Zone and we look forward to supporting their growth as they expand their export reach into the rest of the African continent and widen their local sourcing of parts and components."